Receiving quality care doesn’t have to cost an arm & a leg! When it comes to discovering an affordable option in dental care, the search can become tricky, and sometimes feel nearly impossible! 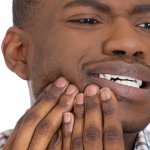 Are you tired of looking for the right place to receive affordable dental care? Look no further than Penn Dental Medicine. Our Penn Dentistry Clinic provides patients with comprehensive care and services in all areas of dentistry. The word “clinic” may be associated with low-cost, average quality care where patients are shuffled in and out quickly while receiving minimal treatment. 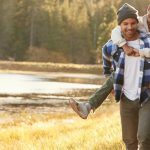 So, why choose a Penn Dentistry Clinic? Patients are often surprised that when you start treatment at Penn Dental Medicine as they discover that many of our Student Doctors are overseen and taught by expert faculty and Penn Dental Doctors, on site. They will oversee the work being done and treatment diagnosed to ensure that you’re receiving the highest quality of care. Receiving quality care at an affordable price is hard to come by. Here at Penn Dental Medicine, they offer their patients discount on their parking, as well as competitive fees that are often 50% less than the average dentist. If patients are still in need of financial help, we accept most insurance companies and offer payment plans through Care Credit. Patients can find a University of Penn Dentist in every speciality under our roof. Our Penn Dental Doctors teach this next generation of dentists, offering the latest techniques and technology. We provide premium care in all dental medicine fields. General Dentistry – Preventive services along with a range of basic restorative services. Periodontics – Services for patients with gum disease and other gum conditions. Oral Medicine – Integrating medicine and dentistry to promote optimum oral health. Pediatric Dentistry – Dentistry for children of all ages. Dentures – Both fixed and removable dentures so that you can smile again. Dental Implants – A permanent fixed to missing teeth. Crowns and Bridges – A hollow, artificial tooth that fits over a damaged tooth or implant to restore shape, appearance and function. Oral Surgery – Surgical treatment and disease management of disorders of the face and jaws. Endodontics – Nerve treatment in the tooth, primarily root canals. 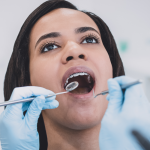 Orthodontics – Treatment of improper bites, irregularity of teeth and jaws. Radiology – Radiographic services including general and implant imaging. 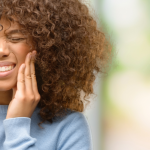 If you would like more information on how the Penn Dentistry Clinic at University of Pennsylvania can give you affordable options with great care, you can give us a call at 215-898-8965 or download our informational chart.